Discussions facilitate better communication at your organization. You can use discussions to notify your team about important schedule changes and policies. Discussions send email and push notifications when they are created. Your team members can adjust their notification settings by following this guide. Note: Not all organizations have discussions enabled. You can enable discussions from the Settings => Schedule Settings => Discussions page. To create a new discussion, go to the Discussions page and click on the New Discussion button. You will see a pop-up window with a form like the one below. Subject Give this discussion a subject--similar to an email. First Comment Start the conversation by creating the first comment. 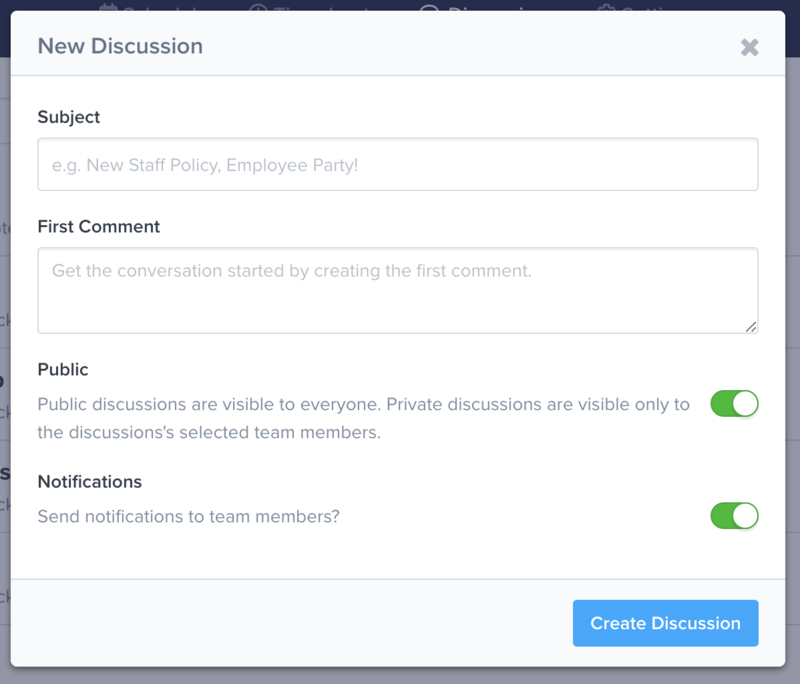 Public You can make discussions visible to your entire team or select specific team members. Notifications Push and email notifications are sent to the team members who are included in this discussion. Once the discussion is created, you will be redirected to the discussion page where you can view comments and update the discussion. To update a discussion, go to the Discussions page and click on the discussion. Next, click on the Tools dropdown and click on Edit Discussion. 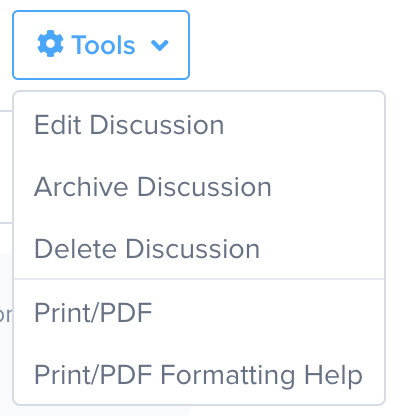 You can also archive or delete discussions from this menu. Update the fields and submit the form. Note: Archived discussions are hidden from the Discussions page and cannot be commented on.